Did you know there is another threat to your oral health other than tooth decay? 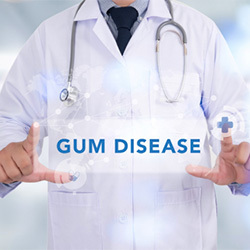 Periodontal (gum) disease is a preventable infection that can lead to tooth loss and health complications if it is not treated quickly. 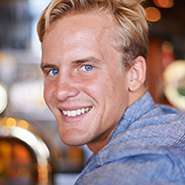 To restore your gum health, we provide complete periodontal therapy in Louisville. 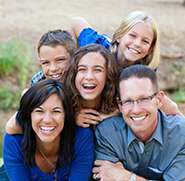 At Bell Dental, we will save your smile and protect your health with a treatment plan right for you. Periodontal disease is an infection that occurs in the gum tissue from bacteria found in tartar accumulations. Although it is preventable, the Centers for Disease Control and Prevention estimates at least 50% of adults have a form of it. Often, it is the result of poor oral hygiene habits that leave plaque buildup on the teeth, causing it to harden and turn to tartar. The early stage of the infection, known as gingivitis can be treated quickly without causing any long-term damage to your oral health. If it is not resolved quickly, the infection progresses and destroys the supporting structures of your teeth. Over time this can lead to tooth loss. The bacteria can also enter your bloodstream, increasing the risk of serious health issues, like cardiovascular disease and Alzheimer’s disease. Also known as a deep cleaning, special dental instruments are used to carefully clean the root surfaces of plaque and tartar. The roots are then smoothed to help prevent future buildup while allowing the tissue to adhere to your teeth. Antibiotics can be used to kill the bacteria to stop the spread of the infection. 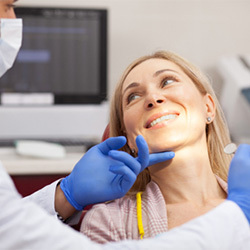 We determine which medication best meets your needs to help restore your gum health. 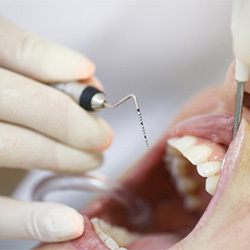 A laser is used to target diseased tissue to kill bacteria while also reshaping the gum line. 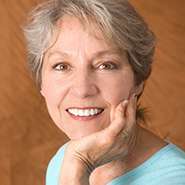 When compared to methods used in the past, the laser is less invasive and provides more accurate results. It cauterizes and sterilizes as it cuts to promote a faster recovery process. It allows your gum tissue to regenerate to reinstate a healthy smile. To prevent periodontal disease from reoccurring, it is best to brush your teeth twice a day for at least two minutes using a soft-bristled toothbrush and fluoride toothpaste. Take the time to carefully floss in between each tooth to remove any plaque left behind by your toothbrush. We may also recommend the use of an antibacterial mouthrinse to help combat harmful bacteria. Besides home care, we may recommend more frequent cleanings and checkups to monitor your gum health. At the first sign of gum disease, do not wait to contact our office. We will save your smile and protect your general health with a treatment plan that is right for you. Contact our office today to schedule an appointment.